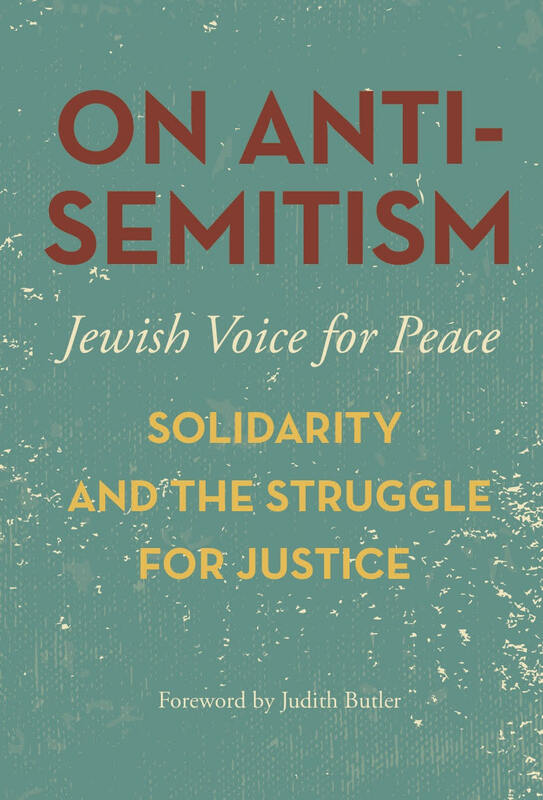 The following is an interview with Rebecca Vilkomerson, executive director of Jewish Voice for Peace and the editor of On Antisemitism: Solidarity and the Struggle for Justice. Mark Karlin: How is the charge of antisemitism used to smear critics of the Israeli government and its ignoble policies toward Palestinians? Rebecca Vilkomerson: As Tony Lerman’s contribution to the On Antisemitism book explores, Israel and its advocates have worked hard to portray criticism of the state of Israel as the “new antisemitism.” However, using the charge of antisemitism to shut down legitimate criticism of Israeli policies diminishes the meaning of the term and makes it harder to combat the real thing. Rebecca Vilkomerson. (Photo: Courtesy of the Author)In our advocacy work for Palestinian rights, we must always be vigilant for cases of real antisemitism directed against Jewish people — as opposed to protest against the Israeli state — just as we need to do more to combat all forms of bigotry and oppression in all of our movements. In the current political moment, when acts of antisemitism have been on the rise, it is even more disturbing that many Jewish organizations are more focused on demonizing Palestinian rights advocacy rather than combatting the antisemitism of white supremacists empowered by the Trump administration. How is this dynamic playing itself out in the academic world in the US? Just recently, the pro-Israel group AMCHA released another blacklist of anti-Israel professors, a tactic that they have used for years to intimidate scholars from being outspoken in their advocacy for Palestinian rights. There has been a battle on campuses for years now over the definition of antisemitism, as some Israel advocates have tried to push the University of California (and now some state and national legislation) to codify a problematic State Department definition of antisemitism that includes legitimate criticism of Israel. Fortunately, we’ve been able to successfully oppose these measures and educate people on the difference between criticism of the state of Israel or opposition to the political ideology and harmful impacts of Zionism, and anti-Jewish bigotry. A section of the book — with contributions from Dima Khalidi, Ben Lorber, Kelsey Waxman and Orian Zakai — address the impact on students and faculty who must constantly fight accusations of antisemitism [that are used] to suppress speaking out on Palestinian rights. Why is the Israeli government so petrified of the Boycott, Divestment and Sanctions (BDS) movement that it just passed a law prohibiting anyone who supports BDS from entering Israel? The passage of the new bill barring boycott supporters from entering Israel, the targeting of BDS leader Omar Barghouti and the investment of tens of millions of dollars by the Israeli government are all signs of how concerned the Israeli government is with the growing power of the movement to boycott Israel until Palestinians have equal rights. As with any movement that seeks to transform relationships of power for a more just and equitable future, the pushback grows stronger as the movement grows. This crackdown against BDS is the next step in the evolution of this struggle. How do you see the fight against Islamophobia to be a partner in the struggle against actual antisemitism? Antisemitism does not operate in a vacuum; we must fight it along with Islamophobia, sexism, classism and homophobia, as well as anti-Arab, anti-Black and other forms of racism, as part of the work of dismantling all systems of oppression. In the United States today, antisemitism is a serious concern, but it is not institutionalized in the same way that anti-Black racism and Islamophobia are through policing, surveillance and disenfranchisement. This book came out of a need among our base and our allies for resources and analyses on antisemitism that didn’t equate it with criticism of Israel but did take it seriously as a form of bigotry and analyzed it in relation to other forms of oppression. The way that the charge of antisemitism is used against critics of Israel often contributes to the demonization of Palestinian rights supporters in a way that often perpetuates anti-Muslim and anti-Arab bigotry. Israel itself plays a significant role in reproducing Islamophobia and anti-Arab racism, through discourses and policies that paint all Palestinians as violent, hateful or terrorists, and portrayals of Israel as a beacon of civilization in the “barbarian” Middle East. In this context, it is particularly important to be challenging Islamophobia as part of the work for justice for Palestinians and to be clear about what antisemitism is, and what it is not. Two contributions in the book in particular, by Donna Nevel and an interview with Linda Sarsour, address these questions specifically. What would you describe as the mission of Jewish Voice for Peace, and do you feel momentum coming out of the 2017 national conference in Chicago that was held recently? Jewish Voice for Peace is a national grassroots organization, inspired by Jewish tradition to work for the freedom, equality and dignity of all people in Israel/Palestine. We see fighting Islamophobia, racism and antisemitism as core parts of that work. This week we held a truly historic gathering of over 1,000 of our members and partners, where we dove deeply into crucial conversations about Zionism, the security state and policing in the US and Israel, challenging Islamophobia as a central part of our work for Palestinian rights, accountability, anti-racism and building Jewish community based on love and solidarity. We know our members have taken home an enormous amount of energy and excitement about the work to come! What is the importance of young people in increasing the numbers involved in Jewish Voice for Peace? We know that there is a generational shift happening on this issue, as young people are far more likely to support Palestinian freedom and be critical of Israeli policies. Jewish Voice for Peace is proud to be an intergenerational organization that celebrates learning from the experience and wisdom of veterans, organizers and activists, while providing a community where young people can lead the way toward reinventing our collective future. “It is the responsibility of all of us to renew our resistance to all forms of bigotry and oppression,” writes Rebecca Vilkomerson.